The Phunkitmonkey love techno, organic, deep and tech-like house stuff and dubby club tools. 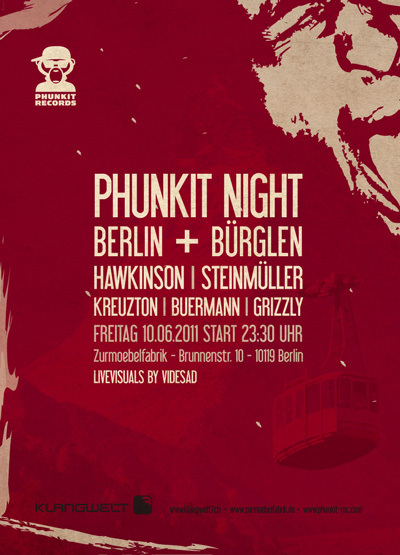 Phunkit was brought into being by Christian Steinmüller in the year of 2008 in Berlin and is these days run together with Falk Romstedt. Keep an eye out for the jewels of their productions which we are going to pick out for you. © 2010 phunkit records. All Rights Reserved.